Backpacking Philippines: Which Comes First, "Nineteen Kopong Kopong," "Panahon Pa ni Mahoma," Or "Noong Bata Pa Si Sabel"? 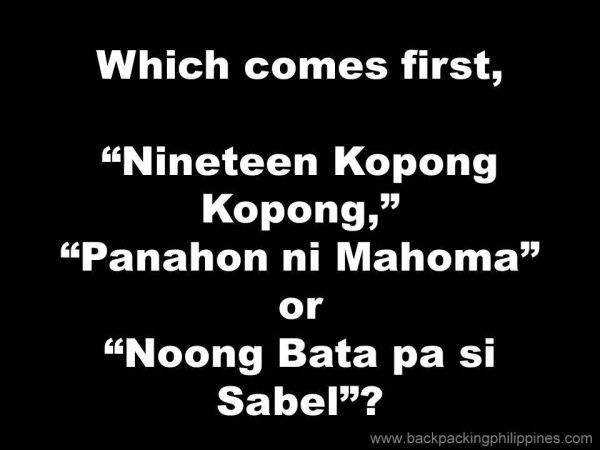 Which Comes First, "Nineteen Kopong Kopong," "Panahon Pa ni Mahoma," Or "Noong Bata Pa Si Sabel"? Tutubi was once asked by a foreigner about the meaning of "panahon pa ni Mahoma" heard from his Filipino friends to which he has a ready answer. The same question is now being discussed at a certain Facebook group discussing "panahon pa ni Mahoma and "Panahon ni Kopong Kopong"
In this post, we will discuss these two "times" plus another time called "noong bata pa si Sabel (when Sabel was still young)"
Who's Kopong Kopong? There's nobody in Philippine nor in World History named Kopong Kopong. Kopong is an old Tagalog word for none or zero. When you say nineteen kopong kopong, it means 1900 literally. Somebody though should be credited for coining the funny expression "panahon pa ni Kopong Kopong" which stuck though. Sabel refers to Queen Isabella II of Spain who ruled Spain from 1833 to 1868. Her name is tied to the history of Bank of the Philippine Islands (BPI) which was founded in 1851 as El Banco Español Filipino de Isabel II (Spanish-Filipino Bank of Isabel II). 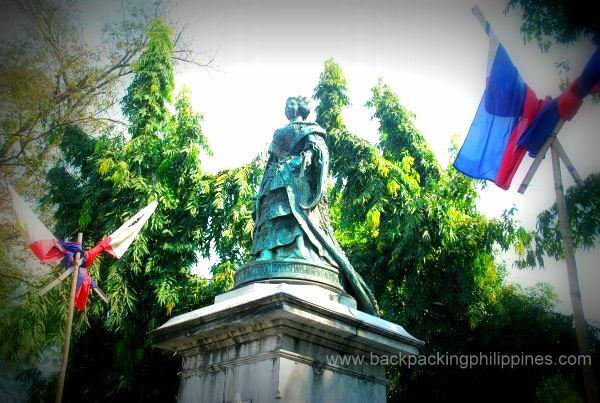 The province of Isabela in Cagayan Valley is also named after her, a gate of Intramuros called Puerta de Isabel II near the Bureau of Immigration and National Press Club and the the Bridge of Isabel II in Imus, Cavite completed in 1857, the site of the Battle of Imus River in 1896. Queen Isabella II is also "to blame" for the Filipinos use of word "pera" to refer to money instead of the Spanish word dinero for money or treasure. I've never heard of the panahon pa ni Mahoma. I know kopongkopong and bata pa si sabel. Nice to see you around again. Hope you post more frequently.